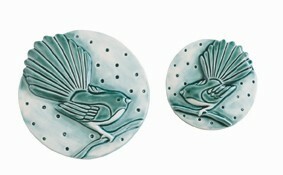 jenz studio ceramics are designed to be hung on interior/exterior walls. fairly lightweight, they have little hooks on the back to hang on the wall. these hearts come in a white card box, nestled in nz pine shavings, with a card explaining the significance of the design. all our ceramics are lovingly hand-made from scratch here in nz.